cf3 has again arranged a tour of the historically significant and fully restored Rauh House in Woodlawn. 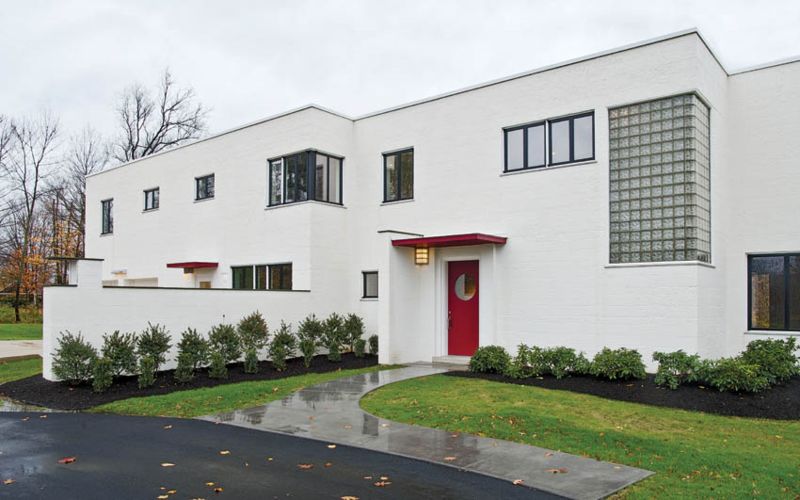 One of the first International Style residences in Ohio, this Modernist landmark has been saved from demolition and has been restored by the Cincinnati Preservation Association. The house was built in 1938 as the rural estate of insurance executive Frederick Rauh and his wife, Harriet. The Modernist masterwork of architect John Becker, it is built of white-painted cinderblock with a flat roof, rear terrace and attached two-car garage. The 8.5-acre site incorporates features designed by landscape architect A.D. Taylor, who also designed the approach to Union Terminal. Almost demolished during the 2000s real estate boom, the Rauh House remained vacant for six years. The house suffered from deterioration and vandalism; the wooded grounds were platted for building lots and trees removed. In 2011 the house was saved from demolition and purchased by Emily Rauh Pulitzer, the daughter of the original owners, who donated it to CPA with funds for a full restoration. The meticulous restoration combined traditional craftsmanship (three-coat plaster) and modern technology (geothermal, high-tech insulation, top-of-the-line appliances). The parquet floors, glass block, paint colors and steel casement windows match the originals. Missing built-in storage units were replicated, and a hard-to-find square tub was located for the master bath. Elements of the landscape plan also were restored and trees planted. cf3 members will be guided by Margo Warminski, CPA's Preservation Director. Cost is $5 for Cincinnati Preservation Association members and $10 for non-CPA members. If you choose to join the CPA, your admission will be free for the event. Cash or checks will be accepted at the beginning of the tour with all proceeds being donated to the CPA. 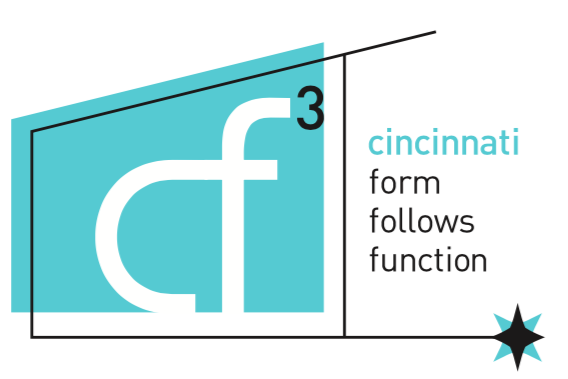 If you are not a CPA member, be sure to visit their website, http://cincinnatipreservation.org/join/. We have been asked to park on Leacrest and walk up the driveway to the house. The tour will begin promptly at 1:15, so please plan to arrive on time. This event will be limited to the first 50 RSVPs. Your cf3 captain for this event is Chris Magee. For any questions or comments, please call 513-550-2339.